Waist training: What’s the deal and does it *actually* work? 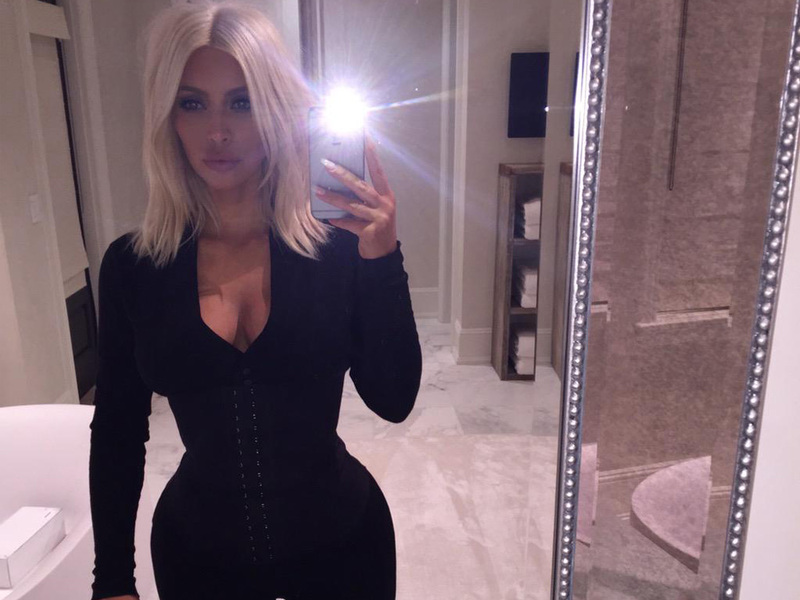 The Kardashian’s seemingly can’t get enough of waist trainers – but do they work? If you haven’t heard about using a waist trainer – the latest ‘slimming’ craze favoured by the A-list (disclaimer: this is a phrase that immediately rings alarm bells in our head) – then you’re clearly not fans of the Kardashian clan. The showbiz family including Khloe, Kourtney, Kim and Kylie, love posing up a storm on Instagram in their elasticated waist cinchers, a practice officially known as ‘waist training’. But the Kardashian’s aren’t the only fans. Whilst there are plenty of ways to healthily lose weight fast, in a magazine interview, Jessica Alba revealed that he wore a double corset ‘day and night for three months’ following the birth of her daughters, candidly revealing that ‘it was brutal; it’s not for everyone but it was worth it’, in order to get her shape back. Dita von Teese told the Huffington Post, ‘It’s funny because I’m watching the (waist training) trend and it’s like the blind leading the blind. People that actually know a lot about corsetry are not the ones publically speaking about it. The guys who make the waist trainers for the Kardashian’s, the Waist Gang Society, say on their website; the ‘waistshaper is a unique latex material which attacks unwanted fat and impurities within your body. Our reshaping line will strengthen your core all the while improving your posture. Anyone who has ever worn a lace-up corset will tell you that at times it can be difficult to breathe (shocker!). The corsetry compresses your bladder, your lungs, your kidneys, you name it, so you certainly won’t be doing yourself any favours wearing one for long periods of time. Elasticated waist cinchers aren’t so brutal; they’re tight, of course, but they won’t compress your insides in the same way as a corset. That said, if you’re wearing one that’s too small or too tight, you can feel light-headed to say the least. The truth is they don’t work – well, not at least in the way you’re hoping. They instantly slim your waist while you’re wearing them, so as shape-wear at least they have some merit. But if you’re thinking this is your short cut to a Dita von Teese waist then don’t get your hopes up. There is absolutely nothing to prove that they can make you permanently slimmer. After all, where would the fat go? If there is any reduction at all in the size of your waist it’s likely down to sweating like a pig – or the thermogenisis the Waist Gang Society talk about, but it won’t be down to the compression. ‘Aesthetically, and superficially, it works. And I mean it really works (probably because it’s made of industrial-strength latex- breathing optional). I’ve spent a fortune on those fabric waist shrinkers in department stores, and all they do is displace your flab elsewhere, like a circle that’s been squeezed in the middle. This one seems to make a good four inches around my waist disappear – but sadly, they do come back once you fling it off.